This giveaway is now CLOSED. Thanks so much to our wonderful sponsor Verilux! We look forward to working with you again! The winner is 'Aisling'. Remember: There are great giveaways active on the upper right hand side of the page! 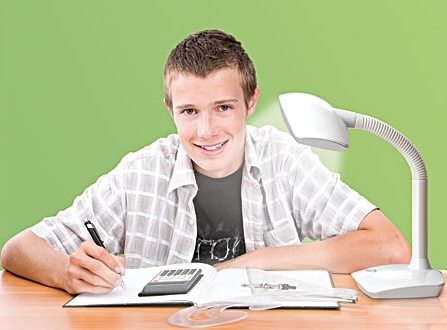 Are you a student, or mom to a student and would like to help maximize study time? Studying smarter, not harder is always the best way to go, who knew that something as simple as the right lighting can improve reading and math achievement scores? Ƹ̵̡Ӝ̵̨̄Ʒ - Maximize Study Time - Helps user to read faster with greater comprehension. Ƹ̵̡Ӝ̵̨̄Ʒ - Reduce Eyestrain & Fatigue - Study longer without glare, eyestrain and fatigue. 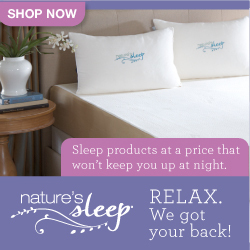 Ƹ̵̡Ӝ̵̨̄Ʒ - Increase Focus & Retention - Improve productivity, focus and concentration. Ƹ̵̡Ӝ̵̨̄Ʒ - Light Enhanced Learning: School Tested, Student Proven - A study of full spectrum lighting in schools reported that students perform better, have higher rates of achievement and have less stress and improved attendance. Ƹ̵̡Ӝ̵̨̄Ʒ - Visual Acuity - Use of Verilux Natural Spectrum lighting, in a school setting, increased visual acuity (clarity and sharpness of letters) for over 88% of the study participants. Students in daylit schools had higher reading and math achievement scores. 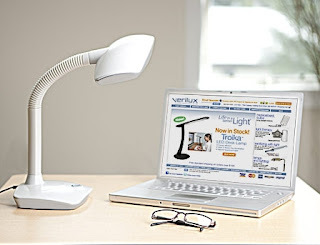 Ƹ̵̡Ӝ̵̨̄Ʒ - Flexible Gooseneck - Place illumination precisely where needed. 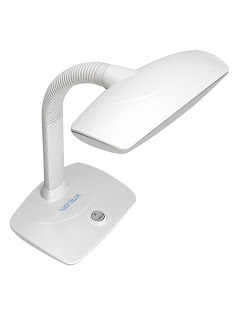 I've been using the SmartLight Lamp to do my reading so I can bring back the Ascending Butterfly Monthly Book Club and I can say that the lamp provides powerful illumination and does help with visual acuity. I really like the Verilux Smart Light and only wish I'd 'discovered' it sooner, I would have loved this when I was still a student. I'm guilty of putting off the overhead light at night when I'm on my computer writing. I find I get my best writing done at night, but I was terribly straining my eyes doing so, and I have found way less eyestrain and eye fatique using my SmartLight! Who knew light could be so smart? Or make me more smart? This lamp will come in handy whether you are an avid reader, a crafter, a couponer, a quilter, and needless to say a student. Don't you just ♥ Verilux? I know I do! I also would love to have the Verilux Rise & Shine Natural Sleep System. http://www.verilux.com/light-therapy-lamps/rise-shine-alarm-clock My bedroom is so dark it's like a cave. And especially in the winter months it feels like I go to bed in the dark and get up in the dark. Yuck. I think filling your room with gentle "sunrise" (even artificial!) would be a great thing to wake up to. Follow you as me. Email is public on my Google Acct. I'm a follower:-) Please enter me in this wonderful giveaway. I hope you'll stop by Katherines Corner and enter my giveaway too. Hugs! I would like to try the Book and Travel Natural Spectrum Computer and Reading Light. I am following Ascending1 on Twitter as njhhb. Would love to try the Book and Travel Natural Spectrum Computer and Reading Light. I now follow Tracy Iglesias on Twitter. I now follow Ascending1 on Twitter. I now follow Ascending Butterfly on Facebook. Opps forgot Facebook link. Here it is. I would love the small item sanitizer. I follow on GFC as tomandmollyk. I would also LOVE http://www.verilux.com/uv-products/uvc-sanitizing-vacuum. I live in an apartment and despite the fact that we gave the carpet a good steam clean before moving in, it always has that "old" feel to it. A sanitizing vacuum cleaner would be awesome! Liked verilux on facebook under the name Justin D.
following on networked blogs...facebook name is Justin D.
I follow your blog. The Heritage Natural Spectrum Floor Lamp looks very nice! I follow @Verilux on Twitter under the username likwan. I tweeted about this giveaway on Twitter at https://twitter.com/#!/likwan/status/129262824747827200. I follow Verilux on Facebook and let them know you sent me at https://www.facebook.com/Verilux/posts/10150370654649872.